Sculpture in Stone (MFA), no. 328; Sculpture in Stone and Bronze (MFA), p. 114 (additional published references). The tip of the nose has been restored; the edges of the ears are chipped; and the surface is somewhat pitted, cracked, and worn, but not unpleasingly so. 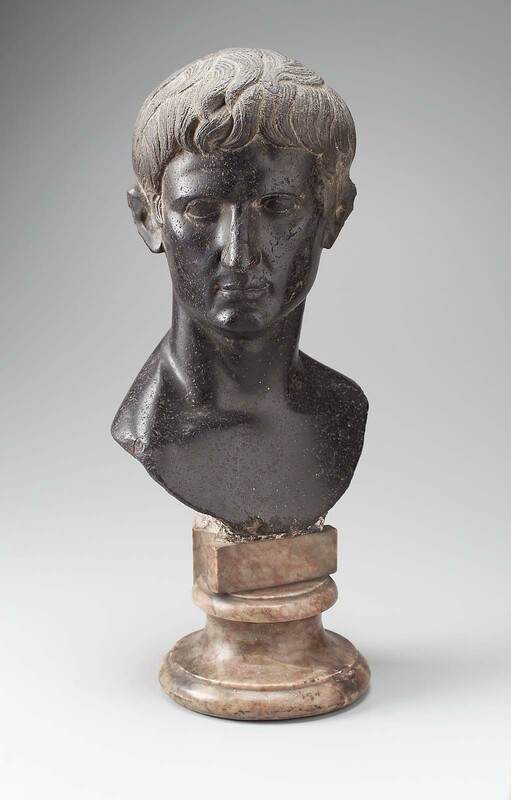 In a a letter to the museum, R. Delbrueck first identified the subject as Augustus, “a replica of the bronze bust in the Vatican Library.” This seems to have been accepted by L.D. Caskey in his notes for a revision of the 1925 catalogue. He was never really satisfied with the thought that the portrait might be Caius Caesar (Caligula, A.D. 37-41). As Mr. Caskey pointed out in his catalogue, the form of the bust is Julio-Claudian. The provenance indicated the piece was very likely in the Rome area in antiquity. Presumably the material was selected to give the portrait the appearance of antiqued bronze. 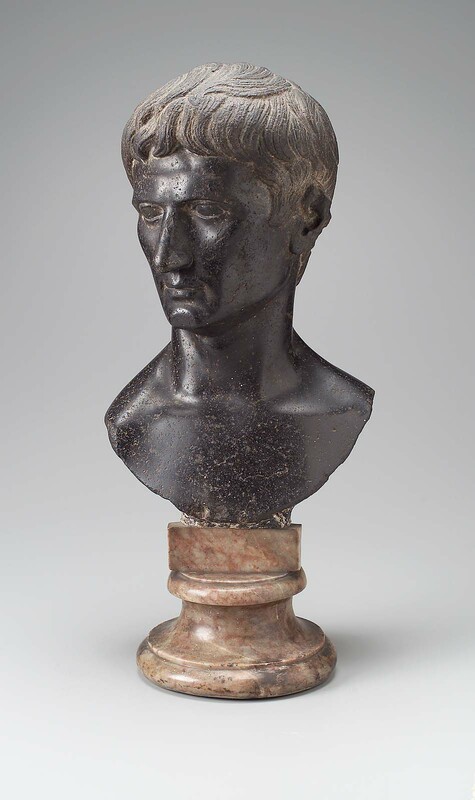 Style gives no indication whether the bust was carved in Egypt and brought to ancient Rome or made in Italy from an imported block of stone, as there is nothing Egyptian about the presentation. The carving is of good, but not exceptional, Julio-Claudian quality, of the type found in funerary portraits of private persons from the Rome area about the middle of the first century A.D.